The wearable medical devices market is expected to face certain restraints from several factors such as privacy issues over sensitive patient data, increasing design constraints and pricing competition among vendors and manufacturers. Wearable medical devices are small electronic products, often consisting of one or more sensors, and having computational capability. They are embedded into items that are attach to the body parts, such as head, feet, arms, wrists and waist. They can resemble a watch, eyeglasses, some clothing, contact lenses, shoes or even jeweler. Wearable medical devices can be generally divided based on consumer or non-consumer applications. 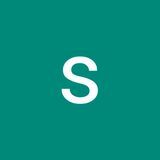 These two categories can be further segmented based on the particular sector the product targets. Straps and headbands are the most common application areas of wearable medical devices. The increasing demand for devices in the remote patient monitoring devices and home healthcare industries is expected to propel the demand for wearable medical devices. Furthermore, increasing focus on fitness, growing awareness among the population, rise in base of aging population, and a healthy lifestyle orientation are also expected to impact the wearable medical devices market. The global wearable medical devices market is highly dynamic and fragmented with the presence of many wearable medical technology companies. Top wearable medical device manufacturers in the market include Koninklijke Philips N.V., Omron Corporation, Zephyr Technology Corporation, Fitbit Inc. and Boston Scientific Corporation. The global wearable medical devices market is further segmented based on applications type, product category, type of device, site of application and geography. The therapeutic wearable medical devices market is sub segmented into pain management devices, insulin monitoring devices, respiratory therapy devices and rehabilitation devices. The diagnostic wearable medical devices market is sub segmented into vital sign monitors, sleep and activity monitors, fetal and obstetric monitors, neuro monitoring devices and ECG monitors. 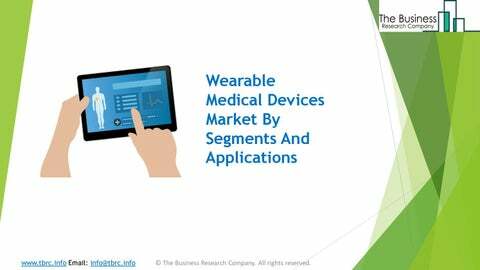 The global wearable medical devices market is also segmented into handheld, headband, strap, shoe sensors and other wearable medical devices. The global health wearables market is segmented into the Americas, Asia-Pacific and Europe, Middle East and Africa. Among these regions, the American wearable medical devices market accounts for the largest share in the global wearable medical devices market. In 2018, it accounted for about 46% of the global wearable medical devices market.